Again, in the category of "you might be a William Morris addict if..."
My fiance and I were watching The Spiderwick Chronicles tonight, finally for the first time, (I've read the books, have met Holly Black in person, and am rather faerie lore obsessed) and I was distracted from the movie by the house itself. I absolutely love old magical houses in movies (another favorite, Practical Magic, comes to mind) and this house was just calling out my name. Yes...I was distracted from a cool movie by the wallpaper. ;) And now I wonder how much more I'd notice upon viewing it again. 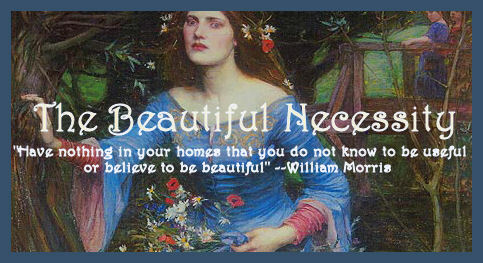 If you watch this movie and spot any other Arts & Crafts/William Morris touches, please share! 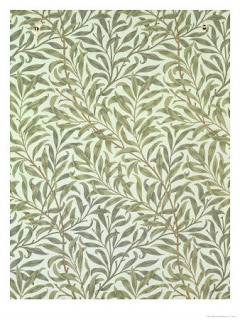 I think William Morris' organic wallpapers and prints are perfect for conveying an otherworldly feel as they transport us to the natural world so easily. 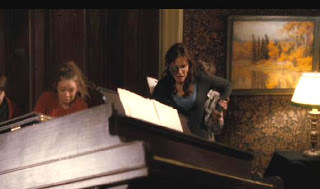 And yes, it is similar to the Italiante Practical Magic House - one of my favorite movie "props" of all time! I agree that his wallpapers were ideal for the house. They create the feeling of ordered chaos that one would find in Faerie, and bring the great outdoors inside. I wish I knew where they found that sunflowers print though...I haven't found it available anywhere online in those dark rich colors. We need a big old house. I was curious about this, so I did a quick google search. The Charles Rupert design firm did the decorating for Spiderwick Chronicles. 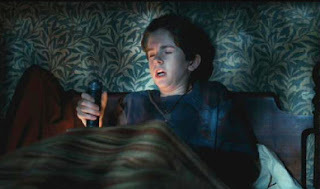 Charles Rupert is located in Victoria and they have done the interior design for a lot of films with a period feel, including Little Women and Spiderwick Chronicles. 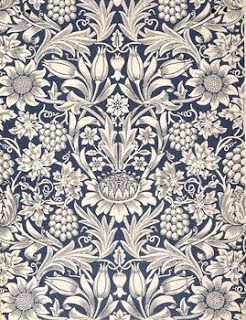 If you watch Little Women again, you'll notice a lot of William Morris Wallpaper, even though it's terribly anachronistic! Yes, the Winona Ryder version of Little Women! ;). There have been a lot of versions of Little Women! Oh! I am SO glad to have found this blog! I have been obsessed with all things Arts and Crafts for years and years and years. I nearly forgot...recently I was in a fabric shop and discovered that the company Moda is producing Morris reproduction prints on quilter's cotton! The line is called 'A Morris Garden'. I checked Moda's home page and they don't have a lot listed, but if you run a google search, there seem to be quite a lot of quilt shops that still have bits of the line. Welcome, islenskr! I'd love to know what rug you're referring to? What scene did you see it in?